Roxana Morduchowicz (PhD, University of Paris VIII) created and was the director of the “Media literacy Program” for the Ministry of Education of Argentina. She is currently a permanent consultant for UNESCO on Media, Information and Digital Literacy. 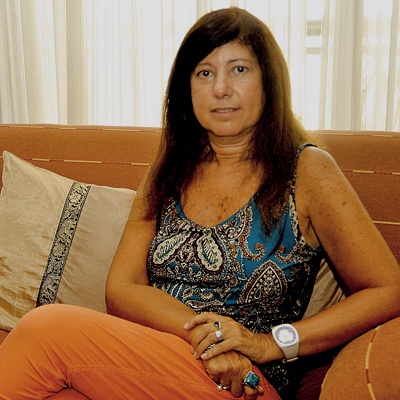 She is also the director of the Film Literacy Department at the Argentine Film Academy. Author of several books and articles in this field, published in Argentina, Spain and Latin America. The most recent one is “Adolescents of the 21st Century” based on a research study on young people media and technology practices and uses. She had also been speaker in international conferences. In addition, she has associated with UNESCO and the Organization of Iberoamerican States, to work with governments in order to develop media and digital literacy. She has been consultant for the UNESCO as one of the experts for the Media and Information Literacy curriculum developed for teachers all over the world. Dr. Morduchowicz was also a Professor in Communication in the University of Buenos Aires, Argentina, and a frequent visiting professor at the University of Paris and Poitiers, France.